Situational awareness: Only two Philadelphia Eagles planned to go to the White House before President Trump canceled the visit, AP reports. Read on for my colleague Sam Baker's reporting on how these trends are already playing out. Why it matters: After a bruising, decade-long fight over the Affordable Care Act, plenty of candidates and lawmakers would love to keep their distance from the politics of health care. But the issue is so personal, and the system is so dysfunctional, that may be impossible. The big picture: Health care is rising back to the top of the agenda for two big reasons: Democrats want the fight, and health care is getting a lot more expensive, for everyone. Polls show health care at or near the top of voters’ list of important issues this year, and Democratic voters are largely driving that push. Prescription drug costs are the issue du jour, and the next generation of complex therapies will only get more expensive. Premiums for ACA coverage are also skyrocketing. Medicare’s financial footing is getting weaker. The trust fund that helps pay for hospital coverage is now expected to run dry in 2026 — faster than previously expected. The sleeper issue is rising out-of-pocket costs, which affect far more people than ACA premiums or the price of new drugs. The average deductible for employer-based coverage has gone up almost 400% since 2006. Dems want to talk about it. Vulnerable red-state Democrats like Sens. Joe Manchin in West Virginia and Claire McCaskill in Missouri are focusing their campaigns on drug costs and the opioid crisis. Single-payer advocates are emboldened, too. The Democrats have moved left. Most of their 2020 contenders have endorsed some form of "Medicare for All," but the party is still fighting internally about what that means. The common thread: a willingness to use the federal government’s buying power to demand lower prices, and to boost that buying power by moving more people into Medicare or something similar. The other side: Republicans, on the heels of their own internal bloodletting over whether and how to repeal the ACA, have a less unified message on health care. “This will be the first midterm in a decade that Obamacare will not be the issue that unites and energizes Republicans,” said Alex Conant, a GOP strategist and former aide to Marco Rubio. "That’s a big shift." The planet isn't warming equally, however — the fastest temperature increases are taking place at the poles. That Arctic, for example, is warming at more than twice the rate of the rest of the globe, melting sea ice, glaciers and permafrost. The bottom line: Due largely to human emissions of greenhouse gases, there is virtually no such thing as a cooler-than-average year on Earth anymore. (The last cooler-than-average month was 30 years ago, in December 1984). 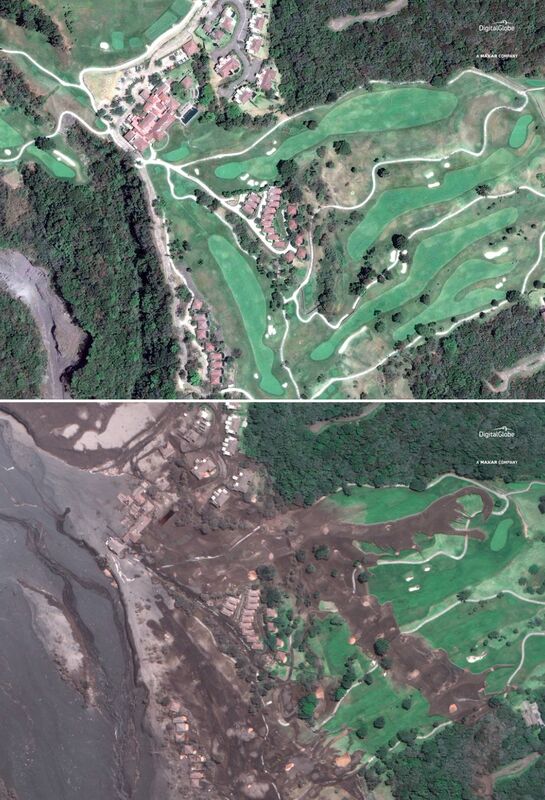 These two satellite images — one from Feb. 5, one from yesterday — show the hamlet of San Miguel Los Lotes, Guatemala, before and after it was encased in volcanic material from Sunday's eruption of Volcan de Fuego, the Volcano of Fire. 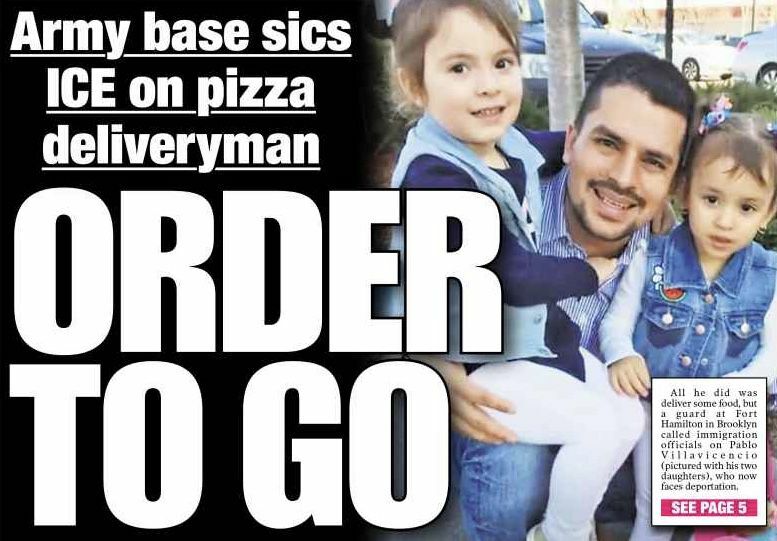 "Pablo Villavicencio Calderon, 35, an undocumented immigrant, was making a delivery from a brick-oven pizza restaurant in Queens to the army base next to the Verrazano-Narrows Bridge on Friday before lunchtime." "According to his wife, Sandra Chica, he presented a New York City identification card, as he had done in the past. The card, provided through a program called IDNYC, was supposed to give undocumented immigrants a method of proving their identification when dealing with city agencies." "But on that day, Ms. Chica said, it was not enough for the military police officer on duty, who said Mr. Villavicencio needed a driver’s license, which he did not have." "A background check revealed an open order of deportation from 2010. Military personnel detained him and called Immigration and Customs Enforcement officers, who took him into custody." A dilemma for news organizations in this epic era is that President Trump isn't just the biggest story in politics. On many days, he's the biggest story in business, the biggest story in media, the biggest story in tech, the biggest global story. Sentence du jour: "If all politics was local in the era of Tip O’Neill, the reverse may be true under Trump." "For local and statewide campaigns normally walled off from Washington, Trump has loomed large across the ballot in Massachusetts this year, permeating the dialogue and campaign messaging in races that are usually dominated by local, not federal, issues." "Trump has never campaigned in Hatfield. The president is not calling for cuts to school funding in Southampton or denying new liquor licenses in Northampton. 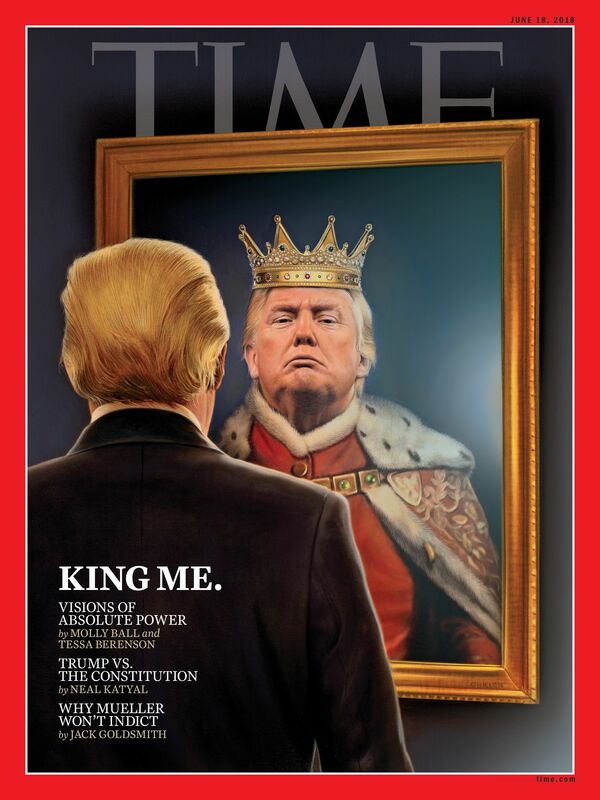 But in the race for the First Hampshire District’s state representative seat, where the East-West railway and dairy farming are campaign fodder, so is Trump." A great example: "[A]n array of candidates have pointed to his election as a catalyst for them launching their first political campaign." 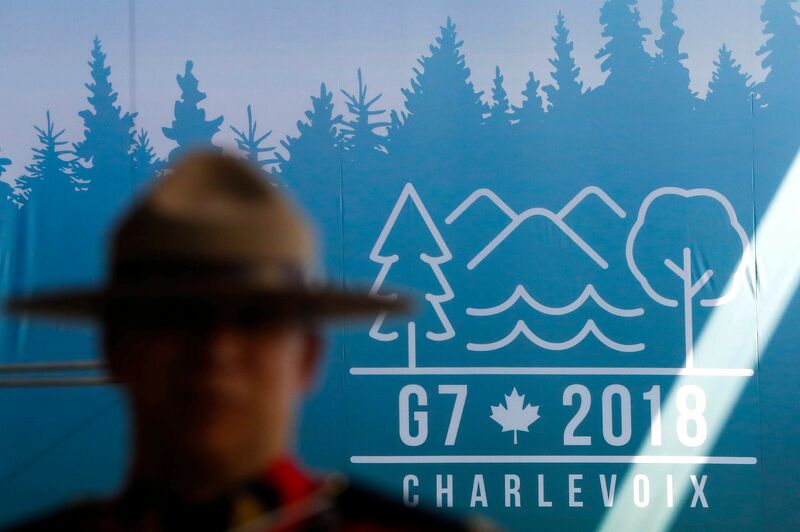 Ian Bremmer of the Eurasia Group, which this week held a 20th anniversary gala, sends Axios AM readers this pointed dispatch about the upcoming G7 summit (Group of Seven major industrial nations) in Quebec, Canada. "it will be the most dysfunctional g7 meeting — by a long margin — since its first in 1975. the Europeans, Japanese, and Canadians all feel like they've been wrong footed by the American president on trade." Why it matters: "the trump administration has piled on and the us-led order has crumbled more quickly than it otherwise would have. this week's gzero summit [a leaderless world] will put that on stark display." President Trump hosted diplomats from Muslim countries in the White House's State Dining Room last night for the administration's first Iftar, an evening meal that breaks the fast during the holy month of Ramadan. Why it matters, from Axios' Haley Britzky: The practice of hosting Iftar at the White House had been observed since President Clinton's administration, but Trump didn't in his first year. Guests included, per Bloomberg's Jennifer Jacobs: ambassadors from Yemen, Jordan, Kuwait, UAE, Bangladesh and Sudan. "A June 5 letter from two leading Republicans on the House Committee on Natural Resources [Chairman Rob Bishop of Utah and Rep. Bruce Westerman of Arkansas, chairman of the subcommittee on oversight and investigations] requested documents on [the NRDC's] relationship with the Chinese government and answers to questions on whether it should register as a foreign agent." The context: "China is the world’s biggest source of carbon emissions ... But ... [g]roups that operate in the country ... often have to tread carefully and refrain from the full-throated critiques more common in the United States." The reaction: "The Republican lawmakers’ letter faced criticism that they were ignoring the difficulties of working in China. Some said their effort echoed Senator Joseph McCarthy’s red-baiting in the 1950s." 24 kisses in 24 hours ... 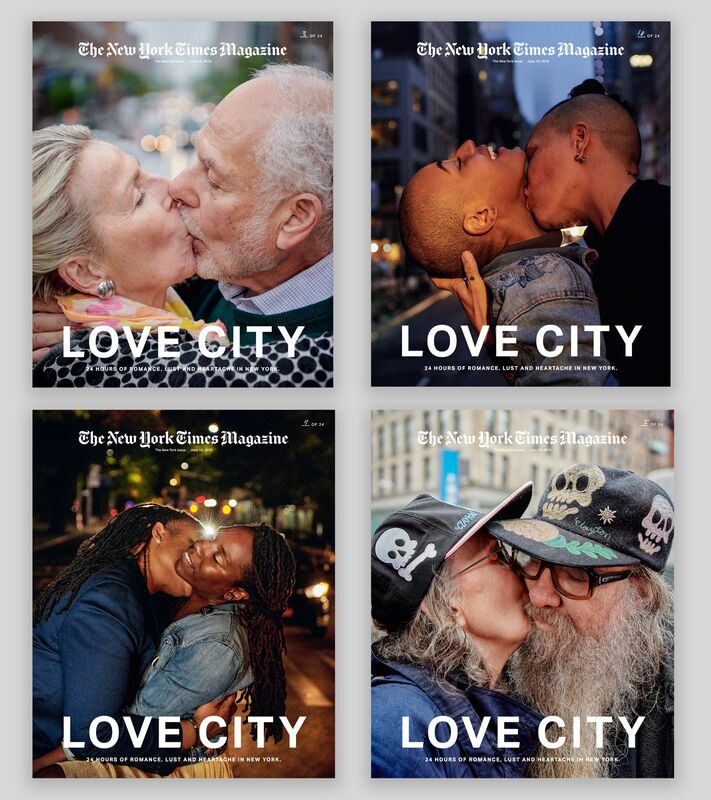 The N.Y. Times Magazine's annual New York issue is devoted to love in the city over the course of a single day: Saturday, May 19. All the photos were shot between midnight and 11:59 p.m. The issue has 24 different covers, all by photographer Ryan McGinley. Some couples were scouted through a social-media request for volunteers willing to demonstrate their passion by kissing for a photographer. Within two days, more than 1,000 replied. The couples were picked up in a truck, and photographed as the city rolled by. See all 24 covers, and read Jake Silverstein's editor's letter. See a video on how the cover images were taken. Thanks for reading. 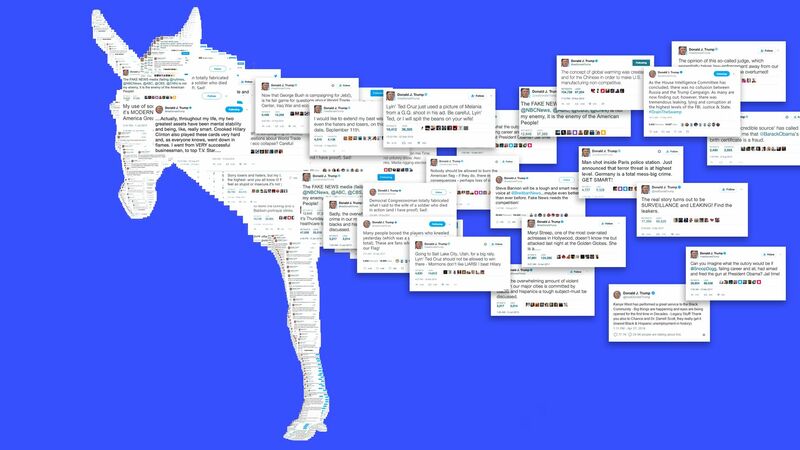 Updates 24/7 on Axios.com.